Residential, commercial and infrastructure building activity is forecast to continue to boom for the next three years to a record $42 billion in 2020, according to the National Construction Pipeline Report for 2017 released this week. 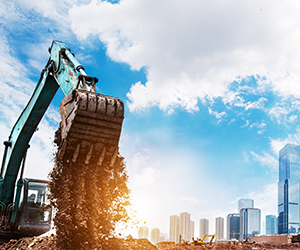 The scale of the total construction boom covering residential, non-residential and infrastructure work is now forecast to total $244b over the next six years. It grew 8 per cent to $34b in 2016 and is now forecast to grow another 23 per cent to an overall peak of $42b in 2020 – $5b higher than the 2016 forecast. The report projects 196,500 homes will be built over the next six years, with the peak increasing from 30,000 per year to 34,500 per year and 12,000 more homes being consented over the next three years. The report also indicated a wider spread of new home construction to the regions beyond Auckland and Christchurch. The National Construction Pipeline Report provides six-year national and regional forecasts of residential, non-residential and infrastructure activity. The report is produced independently by BRANZ and Pacifecon to help the industry in planning and recruitment.